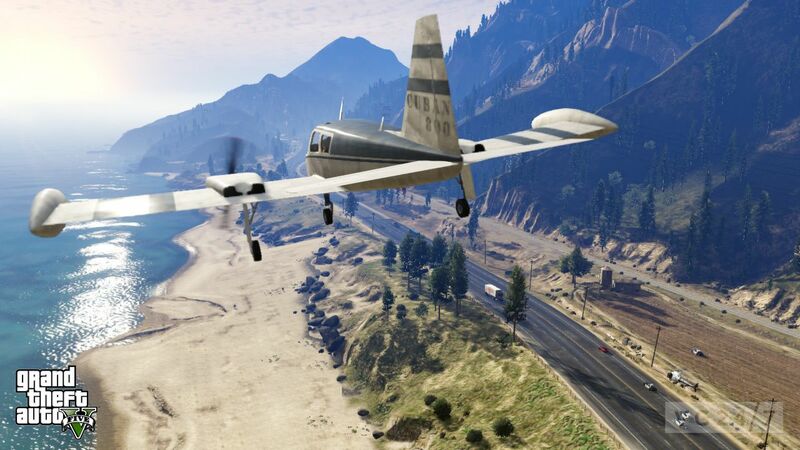 We've been getting some juicy information on Grand Theft Auto 5, this past week and now, we have a bit more. A brand new list of achievements/trophies to be included in the game has been released hinting at some of the greater challenges players will encounter. Solid Gold, Baby! (50 points) – Earn 70 Gold Medals on Missions and Strangers and Freaks. Career Criminal (100 points) – Attain 100% Game Completion. San Andreas Sightseer (30 points) – Explore all of Los Santos and Blaine County. All’s Fare in Love and War (10 points) – Purchase Downtown Cab Co. and complete a private fare. TP Industries Arms Race (10 points) – Purchase McKenzie Field Hangar and win the arms race. Multi-Disciplined (30 points) – Attain a gold medal in all applicable hobbies and pastimes. From Beyond the Stars (15 points) – Collect and return all spaceship parts. A Mystery, Solved (15 points) – Solve the mystery of Leonora Johnson. Waste Management (15 points) – Purchase the old dock and collect all nuclear waste. Red Mist (20 points) – Complete all Rampages. Show Off (30 points) – Complete all Stunt Jumps. Kifflom! (30 points) – Complete your path to enlightenment… or not. Three Man Army (20 points) – Survive 3 minutes on at least a 3 star Wanted Level with all three characters together off mission. Altruist Acolyte (5 points) – Deliver an unsuspecting victim to the Altruist Cult. A Lot of Cheddar (20 points) – Spend a total of $200 million across all three characters. Trading Pure Alpha (10 points) – Make a profit over your total investments in the stock market. Pimp My Sidearm (10 points) – Fully mod a weapon. Wanted: Alive Or Alive (10 points) – Deliver a bail bond target alive. Los Santos Customs (10 points) – Fully mod a vehicle. Close Shave (20 points) – Complete all Under the Bridge and Knife Flight challenges. Off the Plane (5 points) – GTA Online: Complete the Introduction. Three-Bit Gangster (10 points) – GTA Online: Reach Rank 25. Making Moves (30 points) – GTA Online: Reach Rank 50. Above the Law (80 points) – GTA Online: Reach Rank 100. Numero Uno (20 points) – GTA Online: Obtain first place in all competitive game types. The Midnight Club (20 points) – GTA Online: Use custom vehicles to win 5 races. Unnatural Selection (20 points) – GTA Online: Complete all 10 waves of a Survival. Backseat Driver (10 points) – GTA Online: Direct a driver to 1st place as co-driver in Rally Mode. Run Like The Wind (20 points) – GTA Online: Survive for a day with a Bounty on your head. Clean Sweep (10 points) – GTA Online: Finish a Gang Attack without dying and kill at least 10 enemies. Decorated (50 points) – GTA Online: Earn 30 Platinum Awards. Stick Up Kid (10 points) – GTA Online: Hold up all 20 Stores. Enjoy Your Stay (20 points) – GTA Online: Participate in everything Los Santos has to offer. Crew Cut (5 points) – GTA Online: Complete a Job as a member of a Crew. Full Refund (10 points) – GTA Online: Kill the thief that mugged you. Dialling Digits (5 points) – GTA Online: Call for gang backup for the first time. American Dream (10 points) – GTA Online: Own an Apartment, Garage and an Insured Vehicle.